Aref lives in the small, Middle Eastern country of Oman with his parents, but the family will be moving to Michigan for three years so his parents can complete their doctoral studies. Aref doesn’t want to leave his beloved home, friends and most of all his grandfather, Siddi. 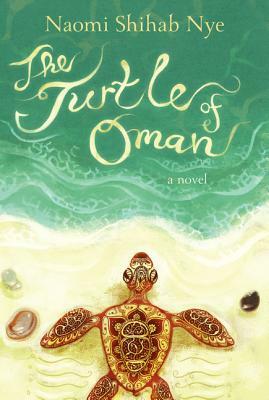 The Turtle of Oman takes place during the week before Aref must leave. Aref avoids packing and is more of a nuisance to his mother, so she sends him off to spend time with Siddi. The pair embark on series of seemingly magical adventures. They wander through the local market, watch sea turtles on the beach, travel through the desert to spend the night at a special camp where they meet and interact with a falconer. The story closes with Aref finally finishing his packing and coming to terms with his departure. With its soft tone and slow pace, this novel celebrates a child’s connection with his home and the little things that make a place a home.